Acadia National Park recently celebrated its 100th anniversary which coincides with the 100th anniversary of the establishment of the National Park Service. A substantial portion of the parkland was gifted by John D. Rockefeller, Jr. much as he did to help establish Grand Teton National Park. Acadia occupies most of Mount Desert Island which also includes the seaside village of Bar Harbor, Maine. For our visit here we parked at the Timberland Acres RV Park in Trenton which is about 12 miles from the park entrance. 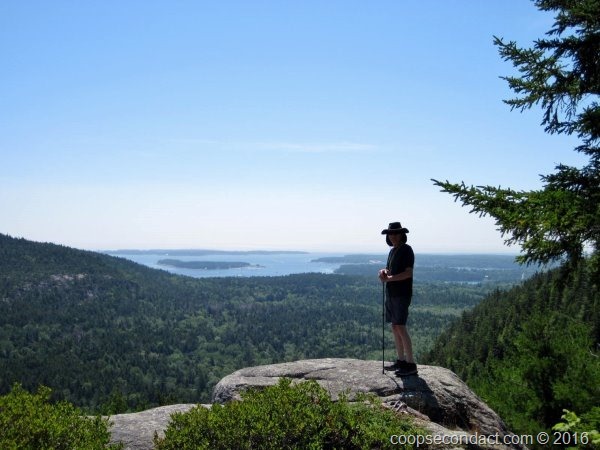 There are many iconic sites to see in Acadia: Cadillac Mountain, Sand Beach, Thunder Hold and Jordon Pond to name a few. But in all cases you just can’t take your eyes away from the beauty of the coastline with the pink granite and green trees contrasting with the beautiful blue water. We took the scenic drive, had some great hikes and took to the water to get a different perspective. We took a national park ranger led scenic cruise to the village of Islesford on Little Cranberry Island, one of the islands surrounding Acadia with year round residents. Like so many others, most of the people here make their living by fishing lobster. 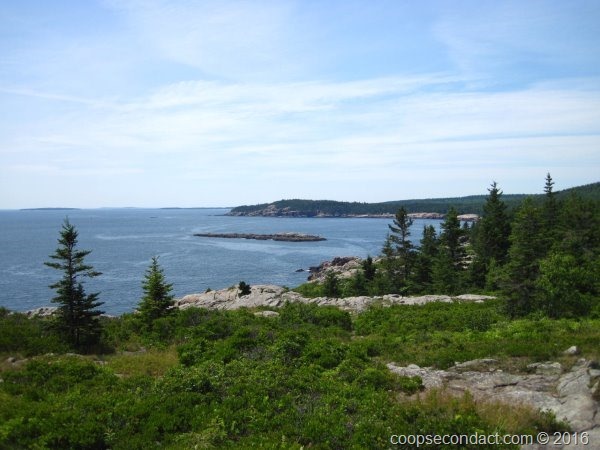 We also drove to a small portion of the park that is not on Mount Desert Island, an area called the Schoodic Peninsula. Oh sure, we did our part to support the lobster industry. 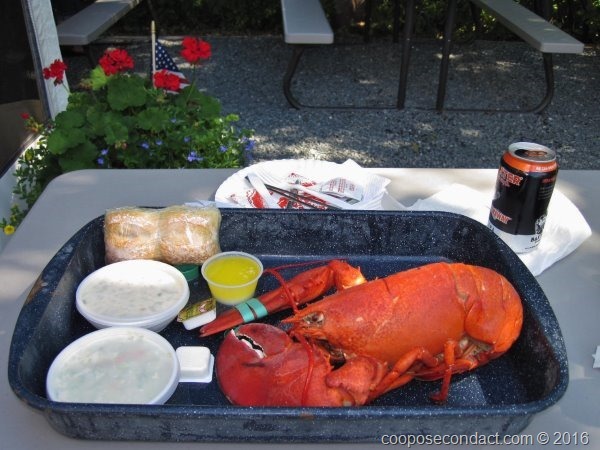 We had whole lobster a couple of times as well as the classic lobster roll. Such a true pleasure to have super fresh lobster cooked in sea water.